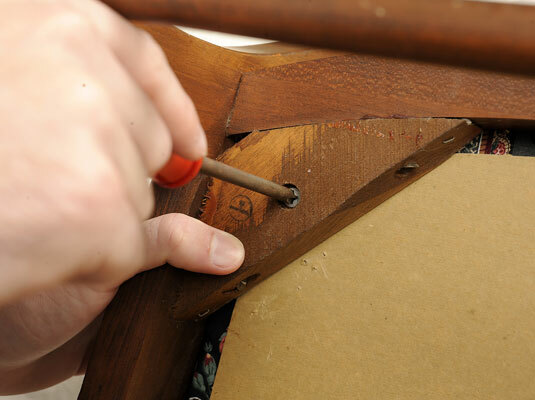 Remove the seat pad from the chair by removing the screws that hold it to the frame. The screws are generally inset, so you may need a longer drill bit. 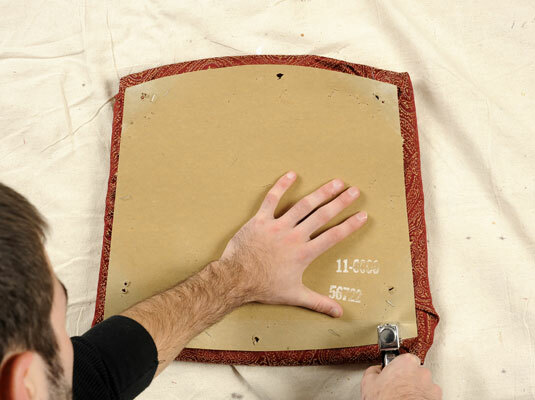 Remove the cardboard or similar material stapled to the underside. 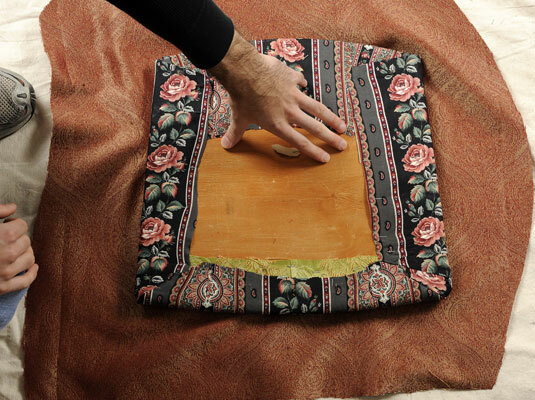 This board covers the raw edges of the fabric. 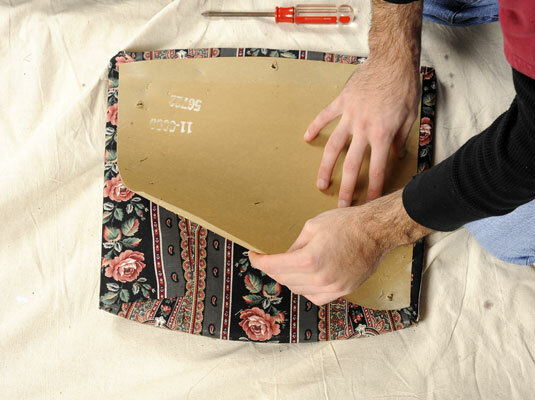 If it’s in good shape, reuse it; if not, use it as a pattern to cut a new board (cardboard or otherwise). 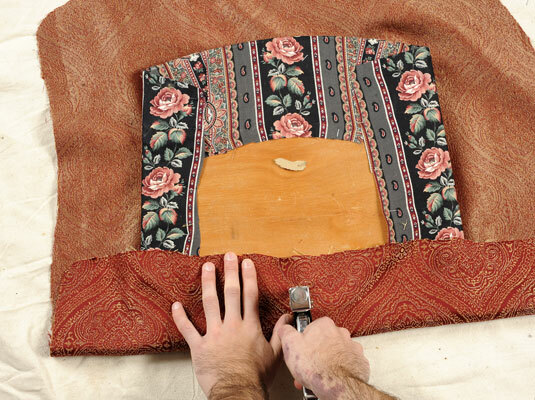 Remove the old fabric from the seat pad and use it as a pattern to cut out the new fabric. Under the fabric is the padding. 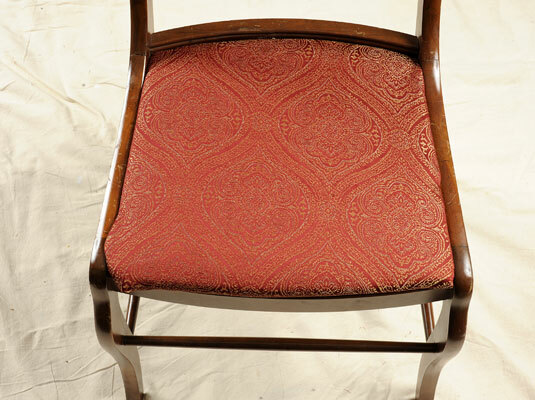 Replace it if it’s too compressed or damaged to cushion the seat comfortably. Lay out the new seat. 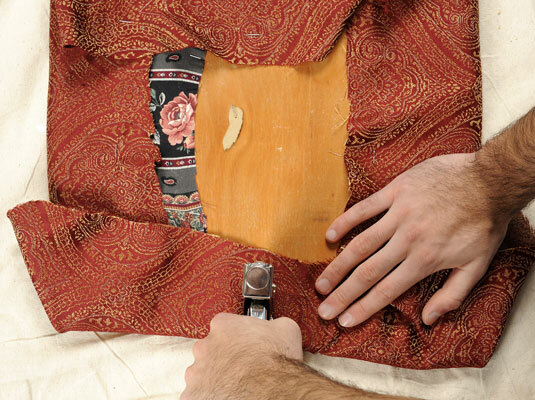 Lay the new fabric right-side down on a sturdy surface. Place the padding over it and the seat pad on top of the padding so that the underside of the seat pad is facing up. 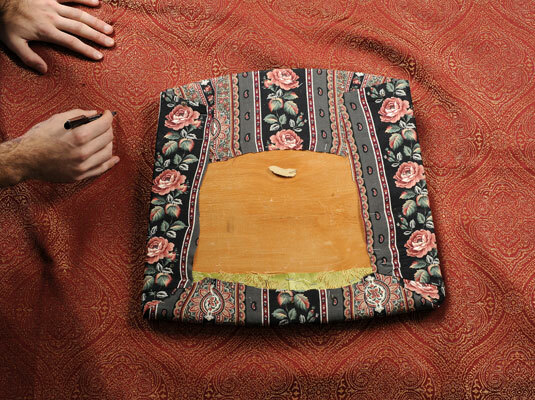 Grasp the center of the fabric from the front edge of the seat, fold it over the seat pad, and staple it to the seat. Do the same at the back of the seat. 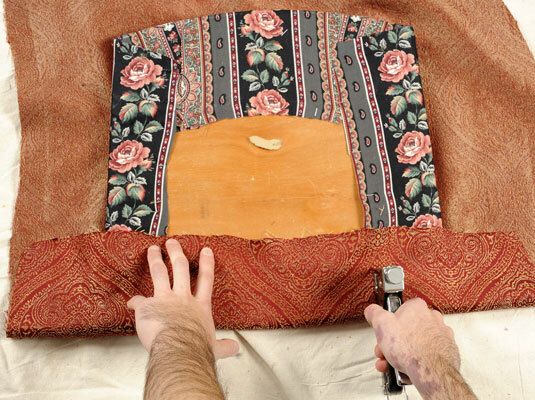 Staple the fabric along the front and back of the seat into place. Work from the center staples out toward the edges. Repeat the last two steps on the sides of the seat. Remember to start from the middle and work your way out. Staple the board into place to hide the cut edges of the fabric. If the staples don’t go in all the way, use a hammer to tap them firmly into place. Screw the seat pad back onto the chair frame. Now you can throw a dinner party to show off your better-than-new chairs.